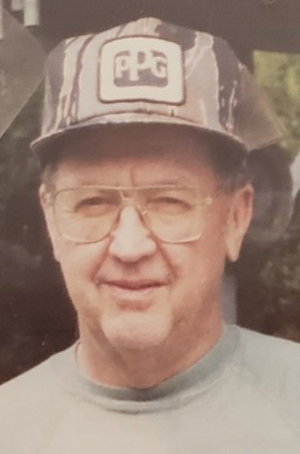 Lloyd W. Colyer, 87, died peacefully on Friday, Aug. 17, 2018, at his home outside of Port Royal. Born Oct. 11, 1930, in McAlisterville, he was a son of the late George W. and Gertrude (Nace) Colyer. He is survived by: his loving wife of 52 years, Verta (Zimmerman) Colyer, whom he married March 18, 1966; three children, Larry Colyer and wife, Patti, of Bruceville, Texas, Angie Colyer Nearhood and husband, Todd, of Port Royal, and Gregory Colyer and wife, Heather, of Port Royal; four grandchildren, Meghan and Machaila Colyer, of Bruceville, Texas, and Hayley and Sydney Colyer, of Port Royal; and two stepgrandsons, Trevor and Timothy Nearhood, of Port Royal. He was preceded in death by: one son, Tim Colyer; two brothers, Eugene and Lawrence Colyer; and two sisters, Erma Schaeffer and Dorothy Jean Kepner. Lloyd graduated from Juniata High School in 1948 and was a farmer, worked at the American Viscose Corp., and retired from PPG Glass Industries in Carlisle. He was a member of St. Stephen’s Lutheran Church. He enjoyed hunting, fishing and loved to go camping. His family was very important to him. His funeral will be at 11 a.m. on Tuesday, Aug. 21, 2018, at Guss Funeral Home Inc., 20 S. Third St., Mifflintown, with Rev. Chris Mathiason officiating. Interment will be in St. Stephen’s Lutheran Cemetery, Licking Creek Valley. There will be a viewing from 6 to 8 p.m. Monday, Aug. 20, 2018, at the funeral home. Memorial contributions may be made to the Locust Grove Residents’ Activity Fund, 69 Cottage Road, Mifflin, PA 17058 or to St. Stephen’s Lutheran Church, 8489 Licking Creek Road, Mifflintown, PA 17059.